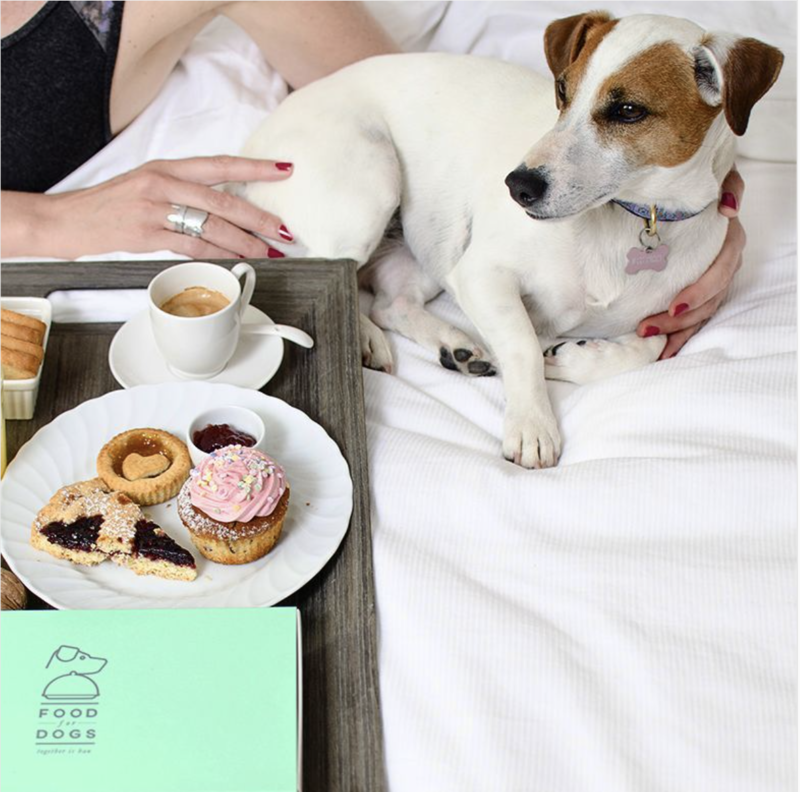 A Food for Dogs box left in the room of the hotel is really advisable, in order to welcome both the dog and his owner unforgettably and elegantly. The Food for Dogs contents can be eaten without further manipulations, into the box, working as a bowl. In this way your dog cannot get dirty. The aliment, thanks to its quality, has a delicate scent and can be safely eaten also in a hotel room. The packaging lasts 1 year. Once opened, it can be kept into the refrigerator for a few days. As a courtesy kit for the dog owners, or to sale, Food for Dogs can be personalized with hotel logo. We suggest you to include Food for Dogs with all 4 tastes in the menu. In this way both the owner and his dog will spend an unforgettable, delightful and enjoyable dinner. The food for dogs can be eaten next to the owner's table, into the box working as a bowl, without further manipulations, to prevent the dog from getting dirty. Food for Dogs avoids a vague use of food. Bau Menu, waited on tables (Italian/English or French/English) informs dog's owners about this exclusive service but also it lets them know all ingredients and nutritional food information. The wet food of Food for Dogs, thanks to its quality, is fragrance free and does not bother the dogs of the surrounding tables accordingly. The colors of the boxes of Food for Dogs are glamour, lively and nice to see. Food for Dogs is useful also when you’re on the beach. On the Bau Beach or pet friendly beach our dogs can have a healthy and good snack. It’s a practical, self-supporting and comfortable doggy lunch box and all owners can bring t it everywhere. It’s an essential and appreciated service for dogs and their owners. We also provide Food for Dogs stations to notice this service. 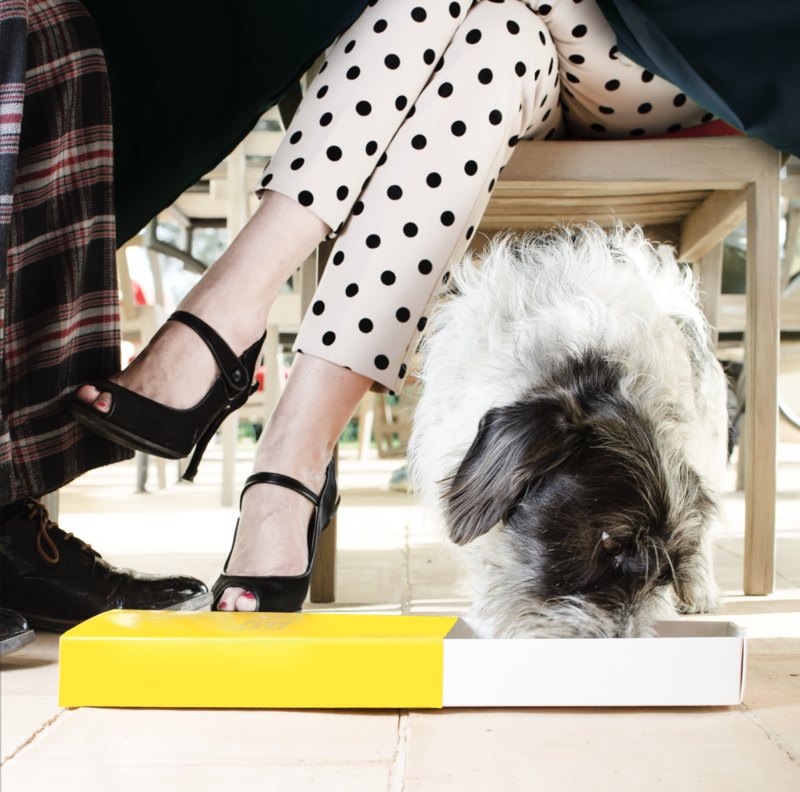 You’re having a happy hour and your dog gets bored and hungry? Food for Dogs with fresh meat and vegetables represents a healthy and comfortable snack. Your dog can enjoy it immediately and without getting places dirty.